Well, it’s November 3rd, and Día de los Muertos has officially ended. But I have one more story to share. And it’s about my abuelita, Refugio. 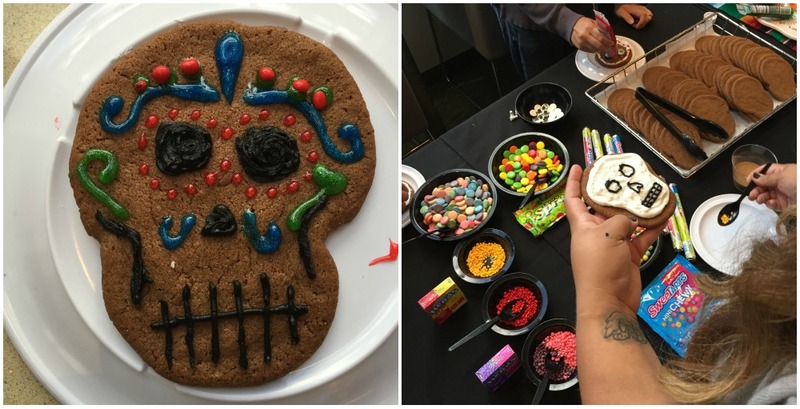 I shared this little story with my fellow food bloggers at the Nestlé headquarters for a festive Día de los Muertos celebration yesterday. My grandma could be an imposing figure, yet she yielded with love. My parents worked full time, so Refugio took care of us before and after school. For the life of me, I couldn’t remember celebrating any Día de los Muertos rituals growing up. Last year I finally asked my mom why we didn’t celebrate Day of the Dead. She sounded surprised and said of course we celebrated the day. I felt confused. Then she shared how my grandma would set out candles and a bowl of fresh fruit. While not a huge altar, it was still a special remembrance for those she had lost. I was still drawing a blank. Then she reminded me of the times when Refugio would have to shoo me away from the altar’s food offerings. I guess as a small kid I couldn’t understand why I couldn’t eat all the fresh bowls of fruit. Slowly it all started coming back to me. My grandma had apricots from her tree, oranges and sometimes ridiculously fragrant guavas. How could I stop myself? So remembering and celebrating my abuelita with Nestle’s Abuelita Mexican Chocolate just tickled me and it brought the day’s true meaning to life for me a little bit more. This week at Nestlé, being greeted with hot Nescafe Cinnamon Café de Olla and pan dulce. 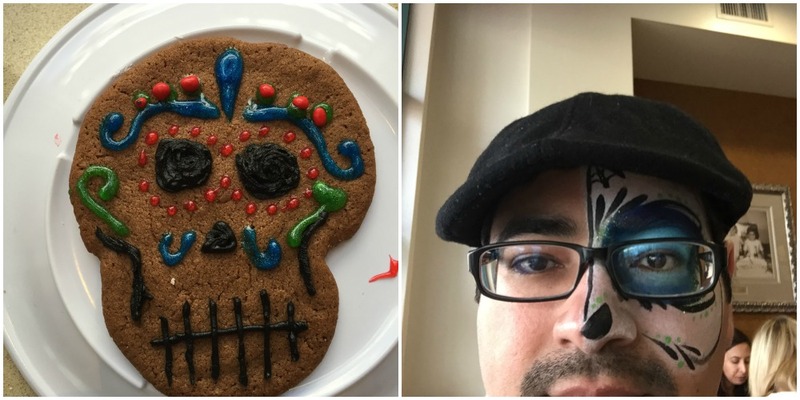 With my cafecito and concha in hand, I entered my last official Día de los Muertos celebration for the year. We had already gone to about four events in Los Angeles starting back in late October. 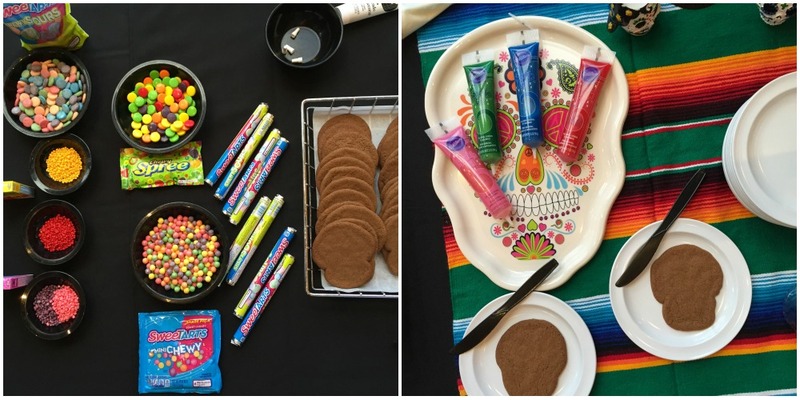 Professionals painted our faces; we decorated skull cookies and devoured treats of Abuelita Chocolate-Dipped Pretzels, Abuelita Skull Cookies, and Iced Blended Abuelita Mocha. But it was the Abuelita Hot Chocolate that brought back the memories of Refugio. For those who are not familiar with Mexican hot chocolate, it is made with cinnamon and other warm spices. I remember sneaking into the pantry as a child to break off a piece of the chocolate tablets to nibble on. Now Abuelita has granulated Mexican chocolate in a sealable pouch. 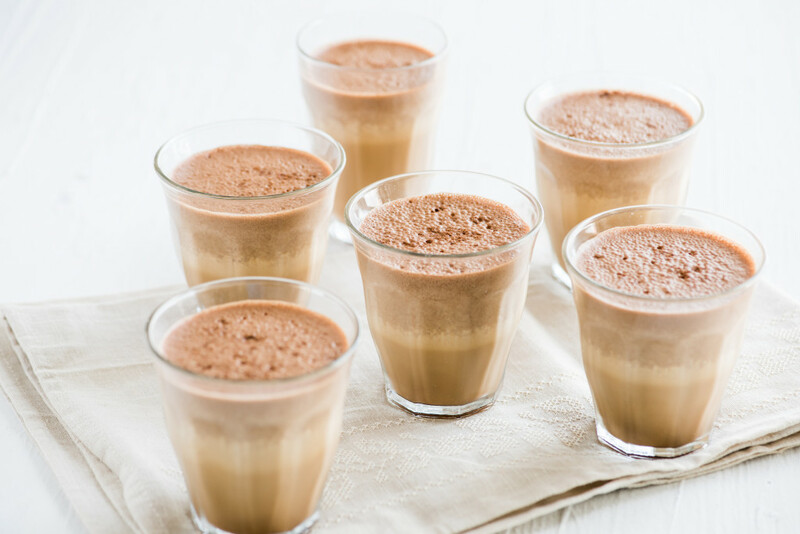 Perfect for cool weather hot chocolate and so many baking possibilities. Part of the celebration included an altar installation by artist Jennifer Gutierrez Morgan from Sustainable Arts Los Angeles. 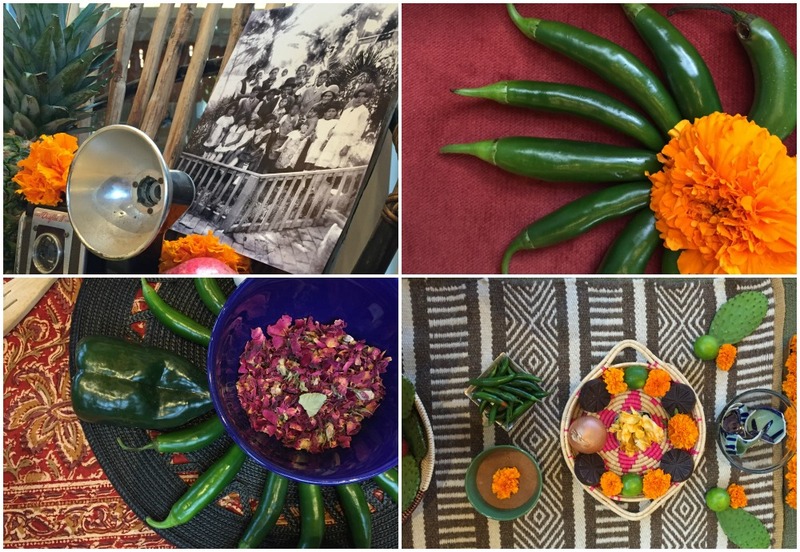 It was just spectacular, full of photos of her loved ones, Abuelita chocolate tablets, marigolds, bundles of sage, pan de muerto, and traditional ingredients used in Mexican cuisine like nopales, flor de Jamaica, limes, pomegranates and different types of chiles. She even had a dress that belonged to her own abuelita. I’ve linked to her Instagram account and website so you can take a look at some of her work. 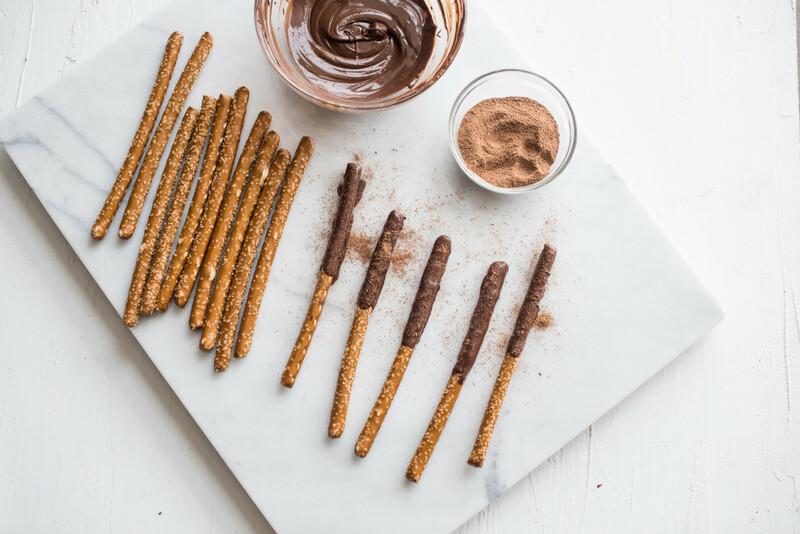 What are some of your favorite ways to enjoy Abuelita Chocolate? In drinks? or Desserts? Maybe you add some to your mole or chile con carne? Don’t be shy, I just told you I used to eat it right from the package like a candy bar. 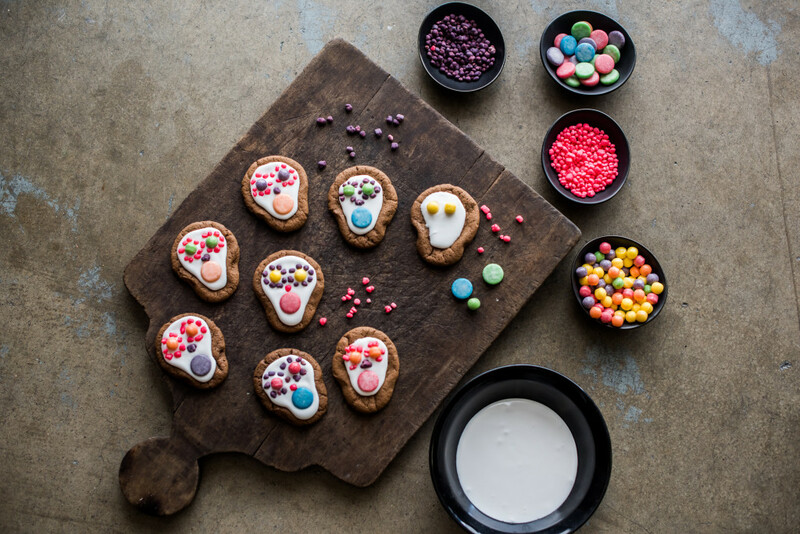 Click on the photos below to get the recipes for these Abuelita Chocolate inspired recipes.